Should I Incorporate as a Freelancer? One of the decisions freelancers can make might be one that delays how or if they start. Before I started freelancing I wasn’t sure if I was supposed to file a DBA (Doing Business As) with my county or bank, if I needed to file letters of incorporation, if I had to create a business name instead of using my own name, and many other questions. 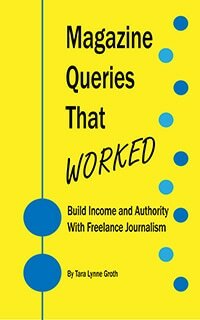 Not knowing the answers delayed my attempts at acquiring my first client. After a lot of research I decided to run my business as a sole proprietor. I know several freelancers who have Limited Liability Companies (LLCs), and some who have creative names for their businesses to give the impression they are a large company when it is just a one-man or one-woman show. Freelancers and small business owners have a few standard options when running their business: sole proprietor, partnership, LLC or corporation (with several types under these umbrellas). I won’t get into specifics here, since plenty of other sites, like the Freelancer’s Union explain business formations. I have an LLC (in a name that reflects writing), so should I operate under that still or should I make my personal name an LLC? How do you do your writing business? Do you operate as your name or Write Naked? I am just wondering whether it matters or not that my company and how payment will work will be through the LLC. I don’t know whether to just incorporate myself as a freelancer or not? Do you have any resources on this predicament? I do not use an LLC or corporation for business purposes. I operate as a sole proprietor under my own name. I include terms about liability and indemnity in my client contracts. Since I am not a legal expert, your best bet is to consult an asset protection or business attorney. You can discuss your current writings and your goals with them, then they should advise you of your options so that you can make an educated decision. I organized a free legal panel for writers last fall with an asset protection attorney and a trademark/copyright attorney. I plan to coordinate a similar free event this fall with a business attorney and a tax professional. Stay tuned!